In the 1860’s the original building was built by Henry Babcock, borrowing deliberately from the design of the White House in Washington, D.C. The design was said to have copied three interior rooms of that structure. Elements of that design are found in the north room, central chapel and main front hall today. A decade or so later the west wing was built. That wing housed a new kitchen and servants quarters, and was later used as a private residence by the Cleveland family. 1902 saw the most dramatic change in the building. At this time Mr. Babcock gave the building to his daughter and son-in-law, Anson R. Flower, brother to Governor Roswell P. Flower. The Flowers completed the renovation, adding a south wing with it’s grand living room, which is the present day main chapel, and a ball room with a stage on the third floor. The Greek Revival style portico facing Sherman Street with four 2-story columns were added at this time. Virtually the whole interior of the building was also redone with new wiring, plumbing, tile and woodwork, making the shape of the present day building as it is today. In 1929 the property was sold to George & Louise Cox. Mr. Cox died in 1944. Howard W. Cleveland and Harold M. Cleveland purchased the building in 1951 fromMrs. Cox and opened the Cleveland Funeral Home in 1952. At this time Howard & Harold converted the second floor and a portion of the first floor into four apartments. In 1968 the business merged with the Wilcox & McCallen Funeral Home. After the death of Harold W. Cleveland in 1970 the building was sold to Philip Spink and the name became Cleveland-Spink Funeral Home. Mr. Spink died in 1988 and the building was sold to Howard Miller, changing the name to Cleveland-Miller Funeral home, and then H.D. Miller Funeral Home. The H.D. Miller Funeral Home went out of business in 1994 and Lynn S. Cleveland bought the property from Key Bank in November of 1996, and commanded the remodeling project. At the present time the funeral home portion of the building is the only section that is refurbished in it’s entirety. On May 1, 1997, the building is now rebuilt and reopened as the Cleveland Funeral Home, once again. 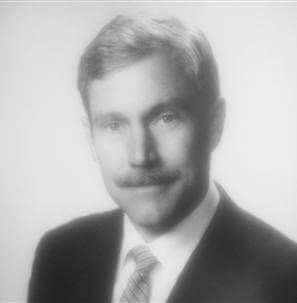 On August 1, 2013 Darrell W. Main a 13 year funeral director with Cleveland Funeral Home purchased the three funeral businesses and medical transport company from Lynn S. Cleveland who remains a valuable member of the Cleveland Funeral Home Family.